Among the career paths in insurance, insurance claims examiners do work similar to that of insurance claims adjusters. Examiner, rather than adjuster, is the usual title in life and health insurance. However, in property and casualty insurance, the title of examiner often designates a senior adjuster who handles the most costly or difficult claims. Other closely allied occupations are those of insurance appraisers and insurance investigators. Educational requirements vary greatly, depending on the position and the employer. Normally, a bachelor's degree is sufficient. There is also no formal certification process, but many larger insurance companies have in-house training programs. Previous experience in allied fields is often an important consideration in hiring. For example, insurance companies look to hire people with legal experience to be examiners for liability claims, those with medical experience to be examiners for health claims, and candidates with engineering or architectural backgrounds to be examiners for industrial claims. Insurance claims examiners require a mix of analytic and people skills. To evaluate a health insurance claim, an examiner may have to consult with medical experts and study medical records. In life insurance, claims examiners may need to establish the cause of death, especially if the policy offers extra payment in case of death in an accident. 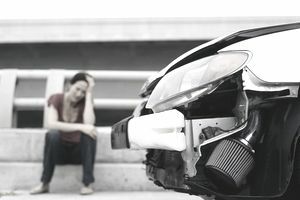 In some cases, reaching a settlement with the claimant may require negotiation or even legal action, in which case the insurance claims examiner must work with lawyers on behalf of the insurance company. Insurance examiner positions in health insurance and life insurance offer good pay, regular hours, and stable working life. A large part of the job, though, involves turning down claims that are excessive or not covered by the policy. This negative aspect of the job, especially in health insurance, where the treatment of ill people is concerned, can be unappealing for some job seekers. Insurance claims examiners in life and health insurance tend to work a regular 40-hour week from fixed office locations. Those in property and casualty insurance generally have longer hours and more travel requirements, similar to insurance claims adjusters. According to the ​Bureau of Labor Statistics—as of May 2016, the latest year for which figures are available—the median annual salary for insurance claims adjusters, examiners, and Investigators is $63,680, but annual salaries can range from $37,500 to more than $95,000 depending on the area of the U.S. as well as your years of experience.